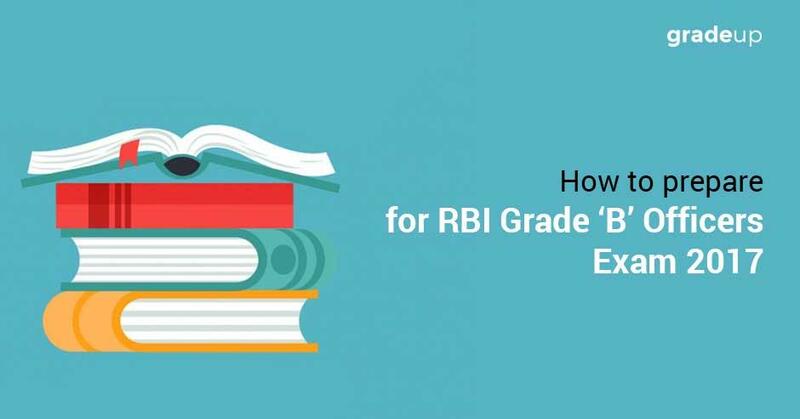 Are you preparing for RBI exam then this article helps you to find out the things that you need to be consider especially while preparing for RBI exams factors like exam stages, exam subject categories, study plan etc. The Reserve Bank of India (RBI) has released a notification about 161 posts of RBI Grade 'B' Officers through Direct Recruitment and the prelims exam is scheduled to took place on 17th June 2017. RBI Grade 'B' Officer is one of the most lucrative jobs in the banking sector of India. "Getting into the central bank of India" is indeed a massive achievement. Your dream job as a RBI Officer is waiting for you so you need to stay fully focused for the next few days and do not let your attention wander away your goal.Before you start the preparation of any exam, you must be well aware with the pattern of this exam and detailed syllabus. It will give you a right perception of the paper that you are appearing for and put you on the right track for your preparation. This will comprise of a single paper of 200 marks and the exam will be of 2 hours divided into 4 sections wherein, there will be no sectional time limit but there definitely will be a sectional cut off, which means that you will have to clear the sectional cutoff along with overall cutoff of the exam to qualify for the next phase. A clear understanding of previous year cutoff of this exam is essential, since it will give you an insight about the minimum number of attempts that you should make in exam. Here is the detailed sectional as well overall cutoff for different categories. RBI Grade 'B' Officers Prelims Examination is not as difficult as it is made out to be. You can easily clear this exam with proper planning, preparation, and the right strategy, apart from proper understanding of exam pattern. We are sure you would be looking for useful advice for your RBI Grade 'B' Officers Prelims Exams. We are providing some important tips, which will help you prepare better for the RBI Grade 'B' Officers Prelims Exams. "Practice makes a man perfect". Make it a habit to daily practice your weak as well as stronger areas. Practice each question type thoroughly. This will aslo enhance your speed. You will also gain confidence to attempt questions in the exam. It is essential to check yourself before starting your preparation. You need to understand what are your strengths, or Where are you good at? You should have a clear idea of the areas that need improvement or the topics that need more practice. Doubts should be cleared as and when they arise. If you have a doubt or any concept is not clear, then clear it with your mentors or with your friends. Spot your weakness and work on it. Before appearing in exam, you need to be very clear about the complete syllabus of examination. It is important to know the latest pattern of the exam before appearing for the same. Once you are well aware with all the details pattern of the exam and syllabus, you should analyze the topics in which you are strong or weak and prepare a proper study plan accordingly. The topics in which you are weak, needs more attention and time for preparation. It is a crucial step for any of exam. If you do not plan your preparation for exam properly, you will definitely face difficulty in exam. Attempting questions with accuracy is essential, in order to avoid negative marking for your correctly answered questions. So, while practicing, give due emphasis on improving your accuracy. General Awareness Section plays a very important role in RBI Grade 'B' exam as this section consists of 80 marks, out of the total exam marks. The main focus in this section is on Economy related questions. You can expect approximately 75-80% questions focused on economy and the rest will be from yearbook, Geography, Science, current affairs and GK. Generally, most of the questions are from Economic survey, Union Budget of the current year, RBI policies, any major economic policies launched by the government etc. You must read various newspaper online – The Economics times (Banking & Finance section), Business lines (Money & Banking section), Business today (Economy & Market section), Financial Express (Economy section) to cover Banking, Economy & Financial News. You are advised to you read our Daily Gk update, Weekly One Liner, Monthly Digest & GK Tornado regularly as it has very relevant facts and data useful for exams. This section contains 30 questions and it is the most avoided and least prepared section. If you are weak or average in this section then make a habit of practicing questions of this section on a regular basis. In English language section always start with those questions in which you are comfortable. This will boost your confidence in the exam. You should always start with those questions in which you have good command and which seems easy i.e. - Cloze test, Para jumble, fill in the blanks & Spotting Error, Sentence Improvement, Reading Comprehension. Note: - Develop reading habits, and start reading a newspaper. This is very important for you to include in your daily routine. Reading habits will help you understand the reading comprehension quickly and answer question easily. This section contains 30 questions and generally candidates find it as one of the most difficult sections in the exam. Quantitative Aptitude section requires lot of concentration and focus. The level of questions range from Moderate to Difficult. Before attempting the questions, one should look at the data carefully, understand small specifications and the type of questions asked in the exam. First, go through all the basics and be clear with every concept. Try to learn faster methods for calculation. You need to practice all types of questions. •	Coding Decoding based on new pattern. These are the best way to check your performance. Online Practice Tests will also help you increase your speed, along with smooth and easy movement across sections. While attempting online mock tests, you should focus on clearing sectional as well as overall cut off. Make sure that you attempt the quizzes on a regular basis. If you wish to be updated regarding the upcoming exams, their patterns, syllabus and other details, you can try Grade up App. It provides free study material, updates of upcoming exams and mock tests for various competitive exams.